Aspull’s Dan Bibby has his eyes on Olympic qualification when England Sevens resume their World Series action in New Zealand this weekend. And the aim for England for this series is to achieve a top four finish, with that ensuring automatic qualification for the 2020 Tokyo Olympics. 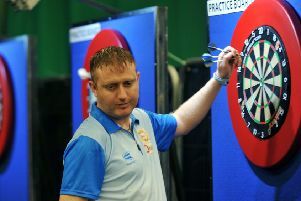 “At the moment I think there are six teams including us that could do that, so it will be tough to qualify,” said Bibby. With the side currently sat in fourth, Bibby and co will be hoping to continue their form as they head to Hamilton . The season kicked off back in November and, on a personal note, Bibby was pleased to get back playing after injury. “It is always nice to start back the series, the last time we played was in Paris back in May, so it was a long time waiting to play,” he said. “We had also changed a lot in terms of how we are playing and defending, so it was nice to put all that hard work into practice. Reflecting on the opening two stages of the competition, in Dubai and Cape Town, Bibby believes the performances the side has put in shows ‘good promise’ for the remaining eight stages. Bibby believes England aren’t too far off.